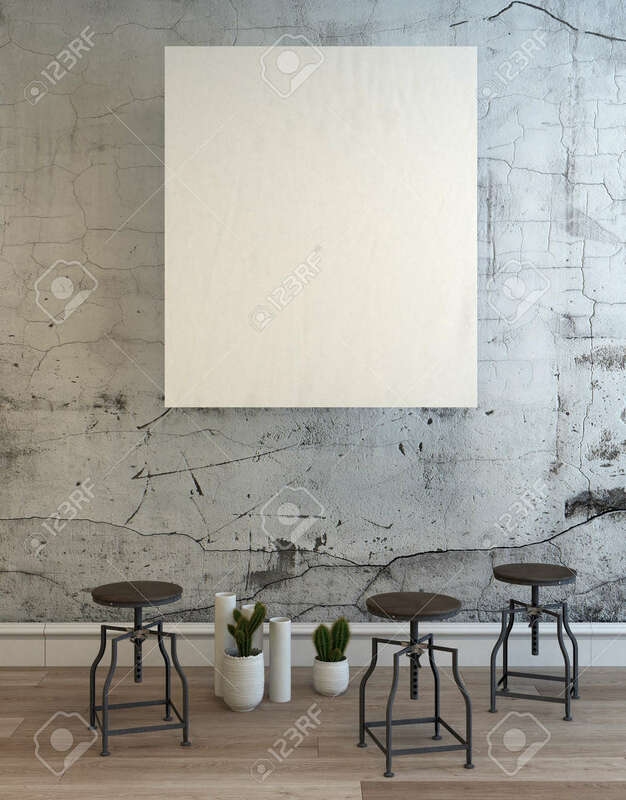 3D Rendered Scene Of Room With Concrete Wall, Blank White Frame.. Stock Photo, Picture And Royalty Free Image. Image 54595990. Stock Photo - 3D rendered scene of room with concrete wall, blank white frame and set of three empty round adjustable stools over hardwood floor. 3d Rendering. 3D rendered scene of room with concrete wall, blank white frame and set of three empty round adjustable stools over hardwood floor. 3d Rendering.